The McBoost is a microphone signal booster designed to elevate the output of a dynamic or ribbon microphone for greater transparency and clarity, and provide enough clean gain to connect to any preamp. 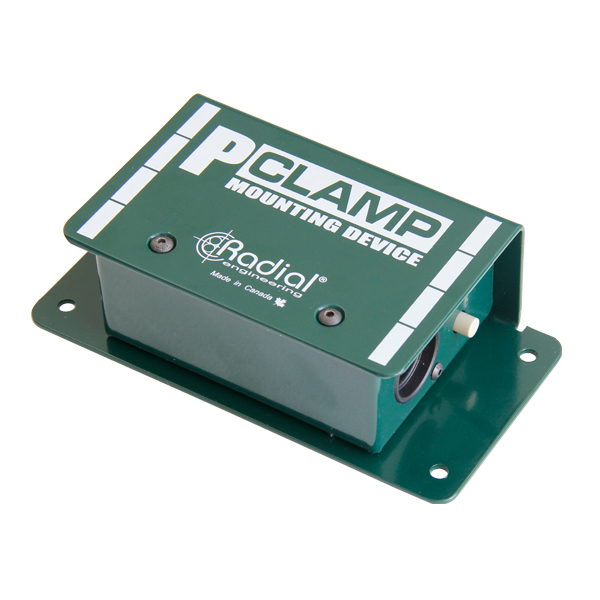 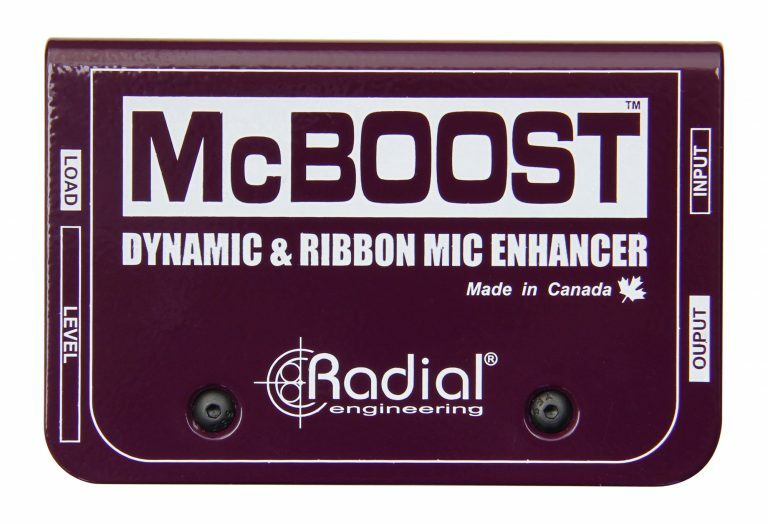 The Radial McBoost provides clean gain at the source for low-output dynamic and ribbon microphones, driving long cable runs with ease and allowing you to connect to any preamp as if it were a high-gain ribbon mic pre. Simply connect the McBoost in-line using standard XLR cables and activate 48V phantom to provide power, then select between three impedance settings to optimize the response from the microphone. 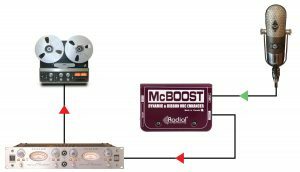 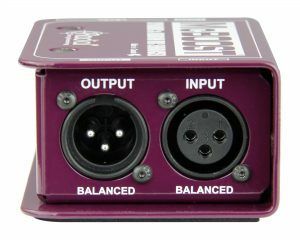 The McBoost will elevate the output to produce added clarity, excitement and extra drive for long cables whether you are in a recording studio, on a live concert stage, or in a broadcast center. 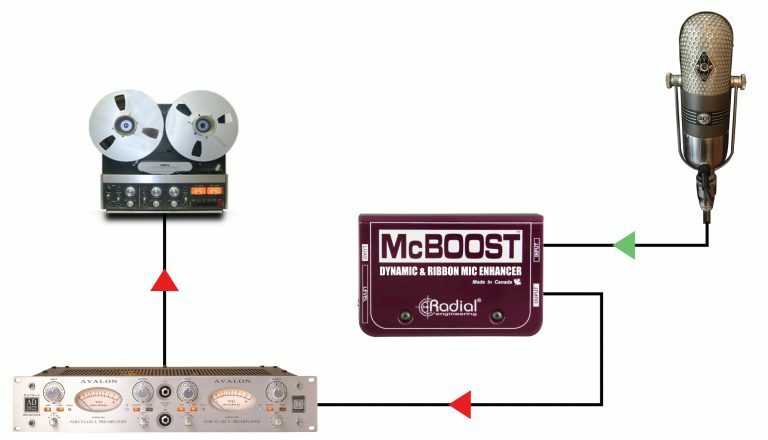 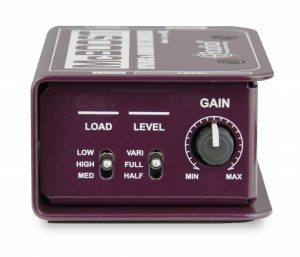 Use the McBoost to increase the gain of your vintage ribbon mic to maximize headroom and minimize noise. 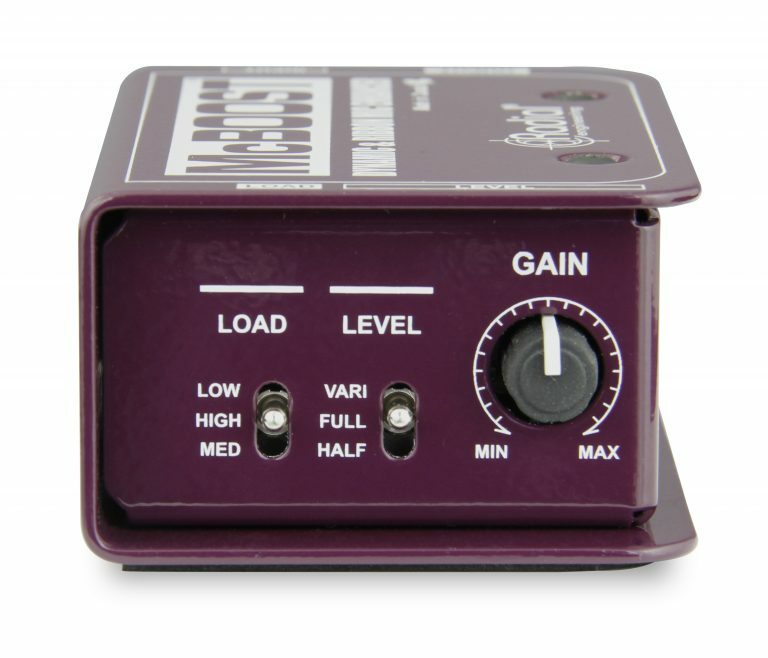 The ultra-clean Class-A J-FET circuit amplifies without adding distortion or noise. 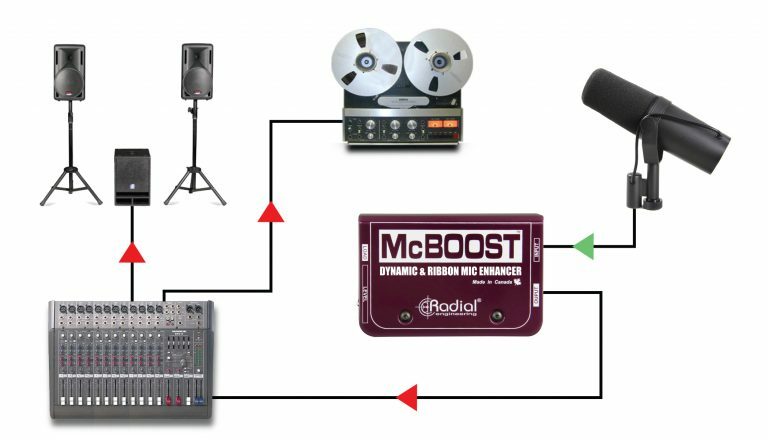 Capture more detail than ever before using a standard dynamic mic. 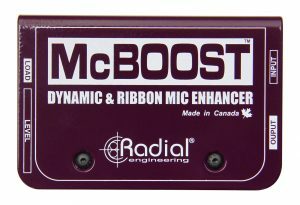 The McBoost works great on any dynamic mic to accentuate the signal. 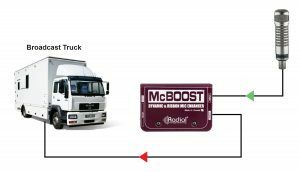 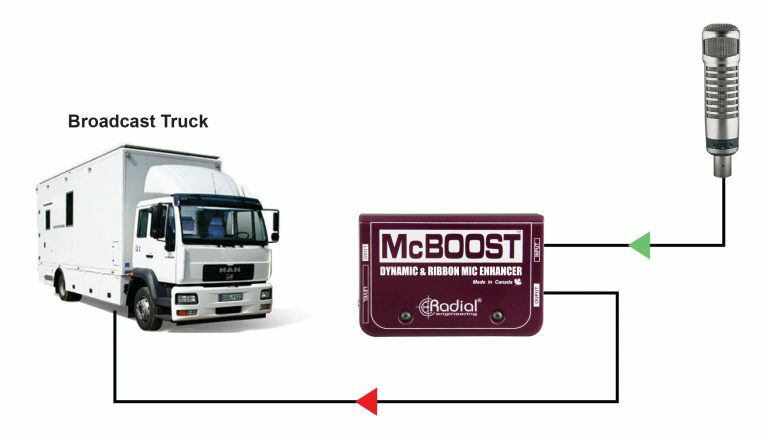 Whether you are doing an interview in a sports arena, golf course or race track, the McBoost will drive your mic signal a thousand meters without noise while reducing susceptibility of outside interference. 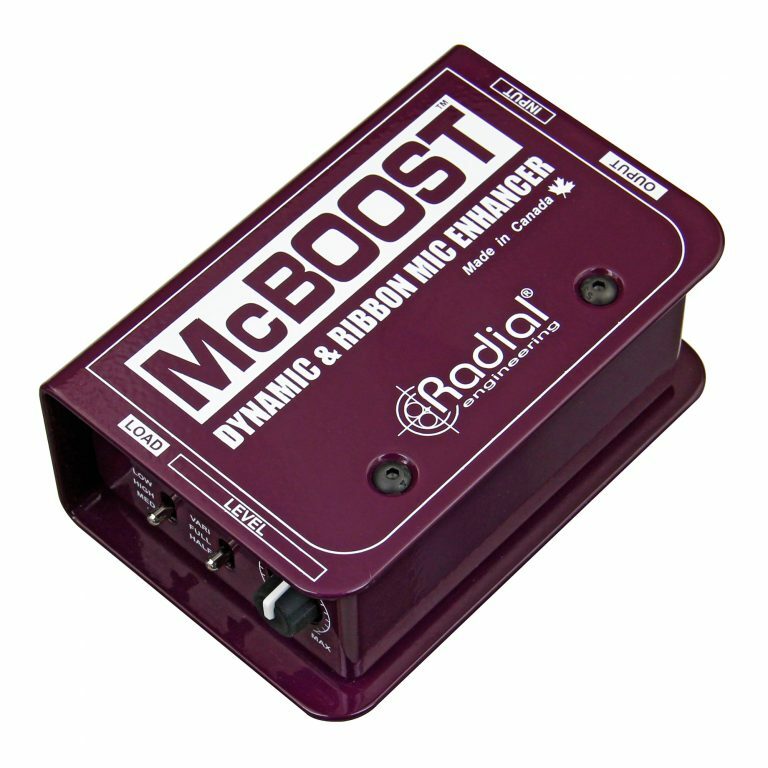 "The McBoost does exactly what it says on its box and does it impeccably on every passive mic I threw its way. 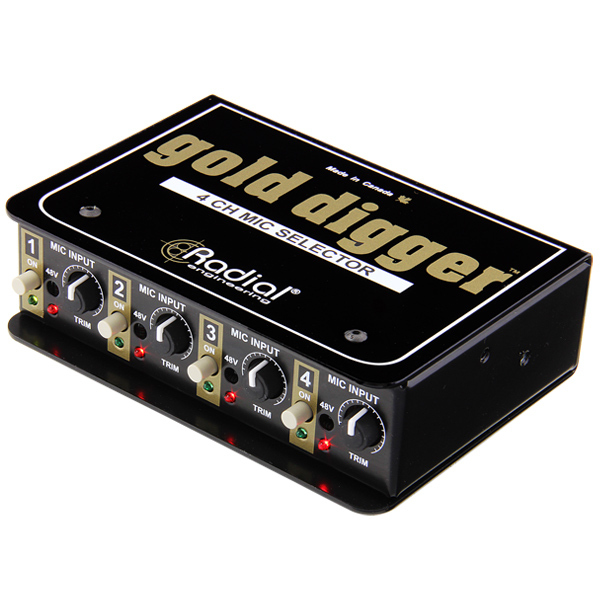 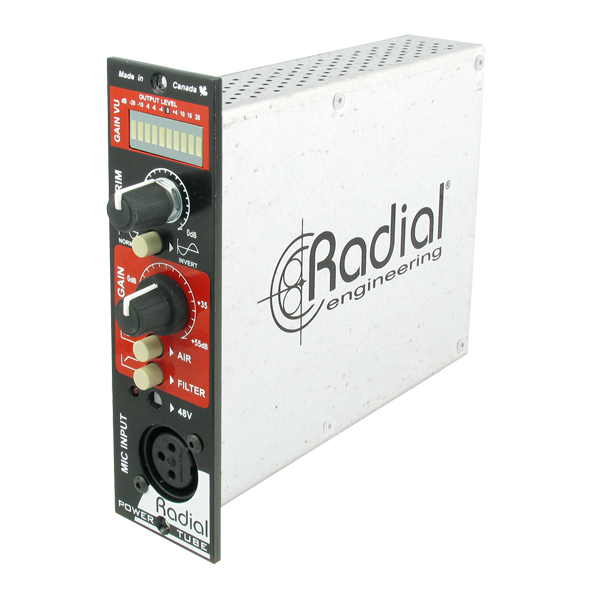 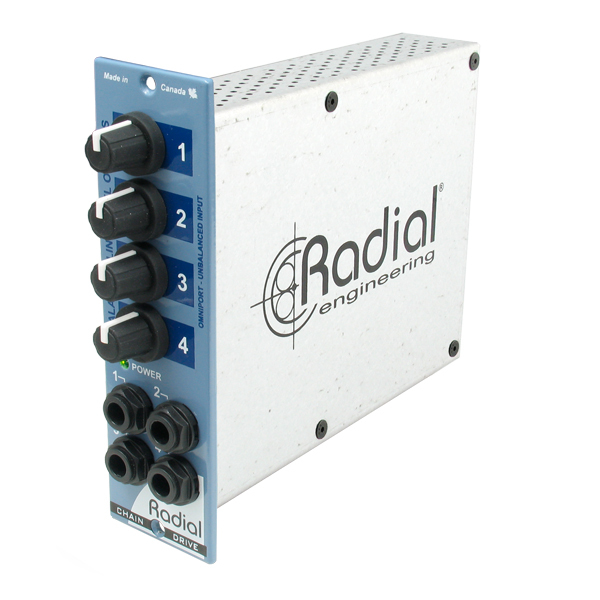 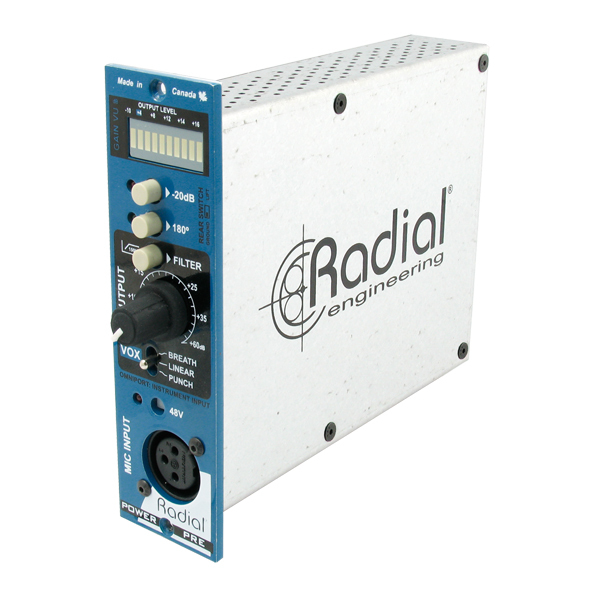 If you are in the market for a mic booster and you're a fan of Radial Engineering's clean sonics and rock-solid build quality, make sure you check the McBoost out!" 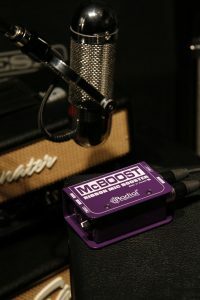 ""I recently paired the Radial McBoost with a popular dynamic mic while tracking vocals in the studio. 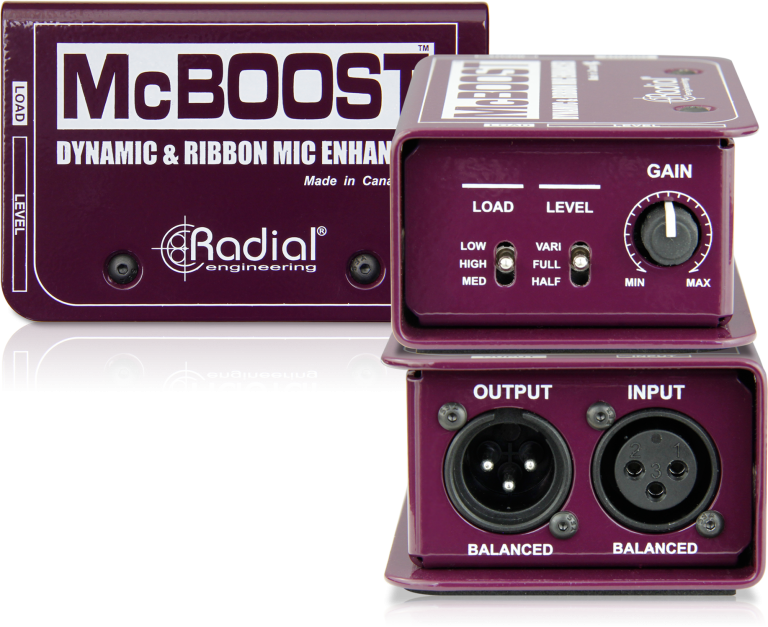 I will never use a dynamic vocal mic without a McBoost ever again! ""